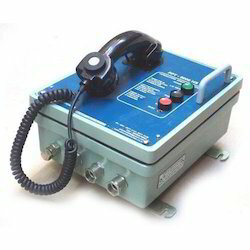 We are an Industrial Plant Communication System manufacturer in India. We have been supplying our products to private, public and government companies in India. For Better Understanding of our customer we have given alternate name of the product also. 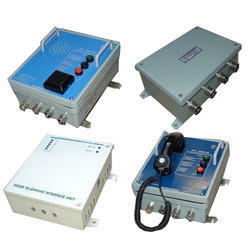 We are a trusted name in the industry for manufacturing and supplying Industrial Intra Plant Communication System. The offered product is highly regarded for its unparalleled features and durability. It is used in industries for addressing huge number of workers for proper streamlining of the production unit. The offered handset is provided with a highly sensitive noise cancel device for ruling out background disturbances. 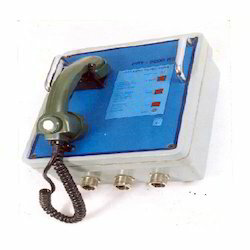 type Handset for full duplex communication. Page Power output 15 W rms. Power Supply AC mains / 24 VDC. Dimensions : 280 mm (h) x 230 mm(w) x 110 mm(d) app. We are a trusted name in the industry for manufacturing and supplying Industrial Plant Communication System. The offered product is highly regarded for its unparalleled features and durability. It is used in industries for addressing huge number of workers for proper streamlining of the production unit. The offered handset is provided with a highly sensitive noise cancel device for ruling out background disturbances. • Page Power output 15 W rms. • THD better than 1%. • Power Supply AC mains / 24 VDC. Our client can avail from us a wide range of Industrial Communication System. These system are provided in different size and pattern. These are made from high quality raw material. Our quality controllers start quality checking process, from the first stage of procuring products till its final dispatch. Page Power output: 15 W rms. We are a trusted name in the industry for manufacturing and supplying Intrasite Communication System. The offered product is highly regarded for its unparalleled features and durability. It is used in industries for addressing huge number of workers for proper streamlining of the production unit. The offered handset is provided with a highly sensitive noise cancelling device for ruling out background disturbances. 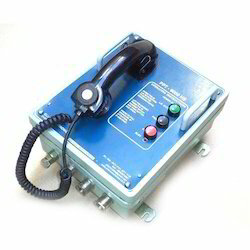 Looking for Industrial Plant Communication System ?